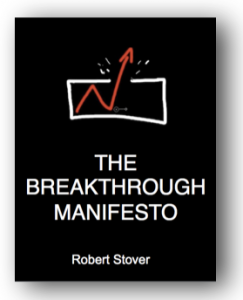 “The Breakthrough Manifesto” is my early notes and essays that will soon be shaped into my next book, “The Art of Breakthrough”. So, it has a few rough spots, but I figured you would want to get an early version. I’ll update you when the book is finished.